PDP TVs, which used to dominate markets for flat TVs, had disappeared into a history. PDP TVs that were sold by Samsung Electronics during second quarter were the last PDP TVs that were sold. According to a market research company called IHS, 100 PDP TVs that were sold by Samsung Electronics during second quarter of this year were the last PDP TVs that were sold. 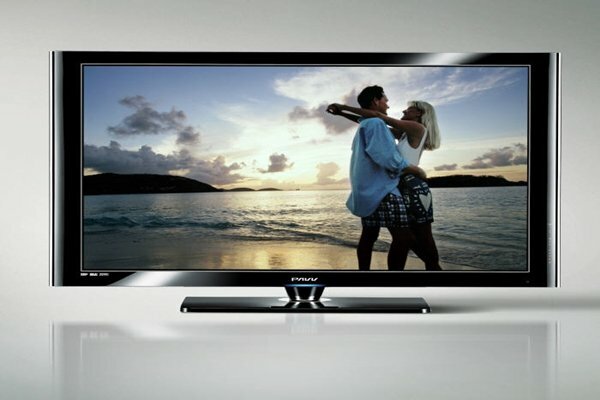 Although PDP TV replaced Braun-tube TV in markets for flat TVs and used to dominate markets with LCD TVs, it ended up disappearing into a history after being pushed out by LCD TV. Until 2014, it used to be one of major sales model as 6.6 million PDP TVs were sold within a year and it also had positive responses from markets. In 2014, Consumer Report that is a consumer magazine in the U.S. placed Samsung’s PDP TV as the second best TV in 2014 followed by LG’s OLED TV. However outstanding development of LCD TVs and appearance of OLED TVs brought the end of PDP TVs. Yearly sales of PDP TVs had quickly decreased to 200,000 in 2015, and PDP TVs had disappeared into a history after 600 of them were sold in first half of this year. PDP TVs used to be called future displays that would replace Braun-tube TVs. After Fujitsu produced first PDP TV in 1991, Pasasonic and Toshiba used to lead markets for flat TVs with PDP TVs. PDP along with LCD had created a new paradigm called flat TV after pushing out Braun-tube TVs. Compared to LCD TV in early days, PDP TV had received much attention due to advantages such as fast response speed and no afterimage. It was able to represent color of black really well as each pixel produces light and as it had no backlight and it had enabled viewers to feel same color at any angle as it had no light leakage. PDP TVs were actually very popular in early 200s as most of markets for flat TVs that are bigger than 40 inches were PDP TVs. However PDP TVs had had a huge weakness. PDP TVs had flown high-pressured electricity in gaseous state and produced light and heat through plasma that separates particle in air into electrons and ions. Because heat is created along with light due to its structure, PDP TVs had to be thicker and had created noise as they had needed fan to cool down heat. Even though they had many advantages, they were not suitable for small products and had had weaknesses such as high electricity consumption and loud noise. Also due to rapid growth of LCD TV, upper hand in TV markets started to shift from PDP TV to LCD TV after 2005. Currently TV industries are preparing for TVs that will come after LCD. Samsung Electronics and LG Electronics, which are leading global TV markets, are preparing for the future with QLED and OLED TV respectively.